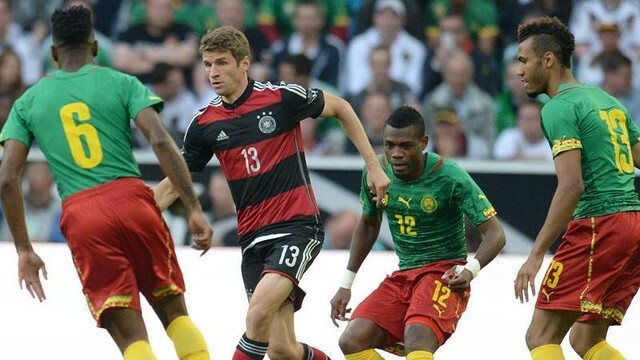 Cameroon showed their credentials in a very good first half where they were better than Germany. In the second half, the Indomitable Lions went ahead with a goal from Samuel Eto’o (63 min.) The Germans were not slow to react and in less than ten minutes turned the game around with goals from Muller (66 min) and Schürrle (71 min.). The best goal of the match was still to come and was scored by Choupo-Moting with a great cross-shot from the left (78 min.) The final minutes could have gone either way with plenty of substitutions and goal opportunities, but the scoreline stayed the same (2-2).